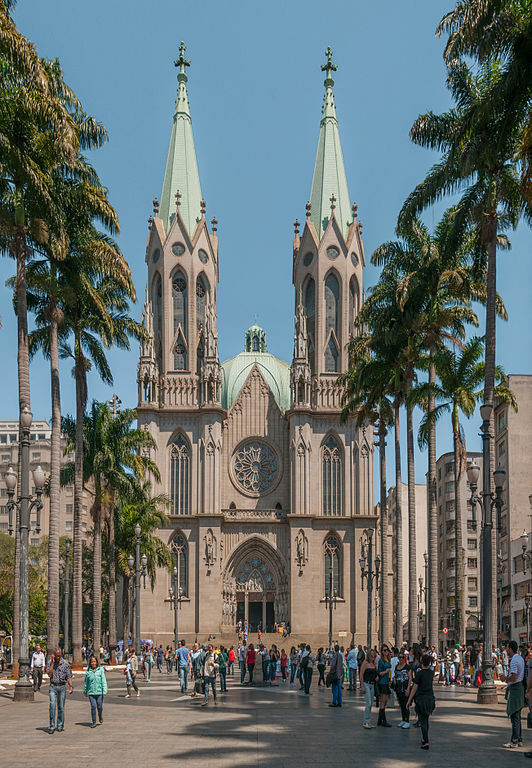 Today, nearly every automobile manufacturer in Brazil has its operations in this city. An astonishing 42 percent of Brazil’s industrial output and 21 percent of its gross domestic product are accounted for by Sao Paulo. The area around Sao Paulo is blessed with fertile soil and a plentiful water supply, and in the 19th century conditions were already found to be ideal for coffee growing. You can use our vacation planner and specify the time you want to be contacted by our Virtuoso Travel Advisors, or just call: Travelwizard.com : 1 415 827 4981 or 1 415 446 5252 between 8:00 am and 5:00 Pacific Standard Time. 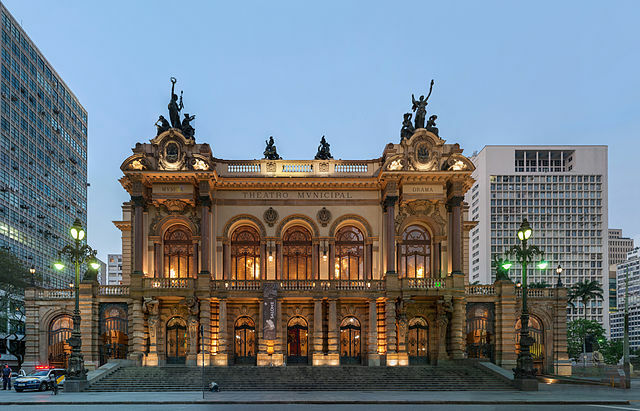 The multicultural city of Sao Paulo could be described, from an economic point of view, as the “largest German industrial center,” since 800 companies here, employing 350,000 workers, are financed by German capital. 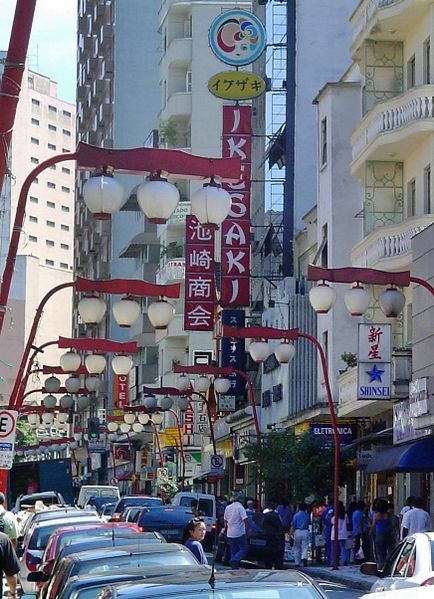 The city’s Japanese community is the largest outside of Japan itself. 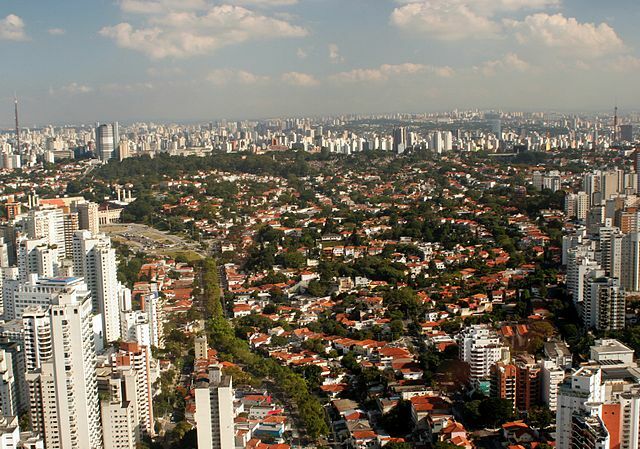 Every two minutes a baby is born in Sao Paulo, and 250,000 people from throughout Brazil move here each year, making the state of Sao Paulo far and away the most populous in the country. Thus, Sao Paulo is a “boomtown” of vivid contrasts: while the very rich reside in 1,500-square-meter luxury apartments, over half the population inhabits squalid favelas (slums). A vast expanse of buildings spread over an 8,000-square-kilometer area contains 1,250 restaurants of virtually every ethnic and culinary description, as well as 134 cinemas, 43 theaters, 48 museums and 49 libraries. Nine thousand city buses fight their way through the congested traffic. Thirty percent of all cars in Brazil are in this city – as are one-third of all helicopters; a great help to business people with appointments. Helicopter sightseeing flights are also available for tourists, this being one of the best ways to appreciate the scope of this bustling megalopolis. Embu: Embu, known for its crafts, antique dealers and colonial furniture manufacturers, lies 27 kilometers west of Sao Paulo, and is best approached from the Regis Bittencourt highway. Many middle- and upper-class Paulistas converge on the art market held here on weekends and holidays at Praga 21 de Abril. The restored church of Nossa Senhora do Rosario do Embu on Largos dos Jesuatas testifies to the founding of Embu in the 17th century as an Aldeia Jesuitica. The church’s Baroque altar and wooden pulpit, the coffered ceiling in the sacristy, and the adjoining museum of religious art are worth seeing. Parque do Ibirapuera: For visitors with time to spare, this huge park in the southwestern part of the city (designed by Oscar Niemeyer and landscape architect R. Burle Marx) containing a lake, planetarium, open-air theater, and the Museu de Arte Contemporanea is a worthwhile outing. The Assembleia Legislativa, home to the Sao Paulo state legislature, sits at the northern end of the park. 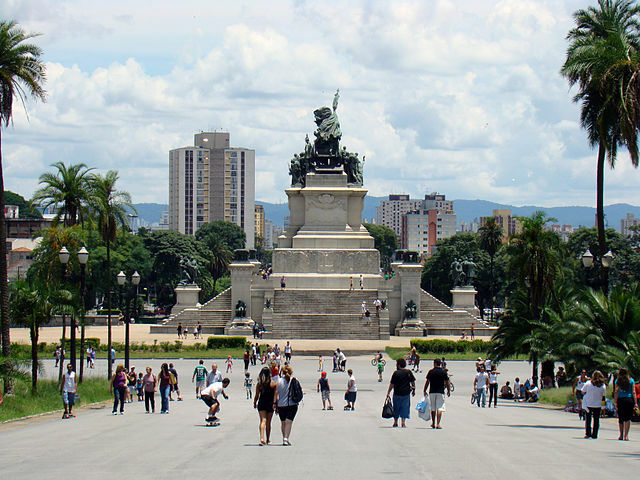 Meanwhile, the Monumento das Bandeiras, Victor Brecheret’s affecting monument to the bandeirantes – flag-bearing pioneers who colonized Brazil’s hinterland – stands watch at the top of Avenida Pedro Alvares Cabral. Praca da Republica: North through the pedestrian zone and then down Avenida Ipiranga is Praqa de Republica, Sao Paulo’s most interesting plaza, especially on weekends. At the Praia Dolce (sweets market) that is held on Saturdays, visitors can purchase every conceivable type of homemade culinary delight (not only sweet ones), sometimes to the strains of live music. Sundays there is a crafts market, at which stamps and coins are also bartered. The pond and the generous number of trees in the plaza evoke the time in the 19th century when this was a shady resting place for thirsty livestock. Salve Floresta: Salve Floresta, the “Rain Forest Academy,” founded in 1994, is situated 140 kilometers south of Sao Paulo and 14 kilometers from Tapirai in a 5,000 hectare private park in the coastal rainforest of Mata Adantica, which contains 650 species of trees and 300 types of hummingbirds. Although agriculture and other activities have reduced Mata Atlatica to four percent of its original size, this primeval forest teeming with birds is still well worth visiting, especially for nature and hiking enthusiasts. There are still wildcats – such as ocelots, for example to be seen, and monkeys and snakes as well. The best time to visit is from March to October. Santos: Santos (population 500,000) is Brazil’s busiest port. Its wide and deep bay allows the largest vessels to dock at its six-kilometer-long piers. 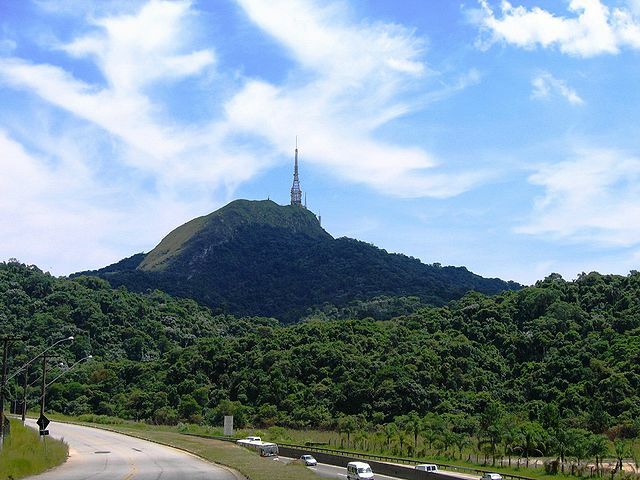 Situated on the island of Sao Vicente, with whose principal city of the same name (population 300,000) it has merged, Santos can be reached from Sao Paulo (72 kilometers away) either on the Rodovia Anchieta (SP 150) or via the more interesting Estrada Velha do Mar. Its beaches extend for seven kilometers parallel to Avenidas Presidente Wilson and Bartolomeu de Gusmao. The latter ends in the Ponta da Praia quarter, from which you can connect with a boat excursion through the Baia de Santos; it departs from Ponte dos Praticos. Coffee lovers should follow their noses down Rua XV de Novembro to Rampa do Mercado, where different varieties of coffee can be compared and bought at Casa do Cafe. Guaruja, the constellation of swimming beaches favored by Paulistas, is on Ilha Santo Amaro, accessible by ferry from Santos. The area entices visitors with a total of 19 beaches, including those on the islands of Pombeva and Cabras. Water sports enthusiasts especially like Enseada and Tombo; calmer waters are found at Guaiuba.